Connectivity improvements are critical for Northern economic growth. Bernadette Ballantyne talks to Transport for Greater Manchester about local and regional investment plans. As the transport delivery arm of the Greater Manchester Combined Authority, Transport for Greater Manchester (TfGM) has an important role to play in the ambitions of the city and the wider region in becoming a true Northern Powerhouse. “We are all about economic growth and the way that Greater Manchester works is by aligning planning with housing, with education and transport,” says Dr Jon Lamonte, chief executive of TfGM. At one level this means supporting more people into work and education by giving them the ability to reach opportunities whether workplaces, schools or colleges. “We have schemes with job centres where in their first few weeks of work people have a voucher, for public transport. We are working with health agencies to help people to get to and from hospitals and planning our transport network around hospitals so that it all links up,” he explains. At another level this means investment in more integrated infrastructure locally and regionally. Manchester sits at a critical juncture as in the future incoming high speed rail from the north-west HS2 link will connect it to London in 68 minutes and at the same time it is at the centre of the band of major cities spanning the Northern region from east to west. In transport terms there is a lot to do. 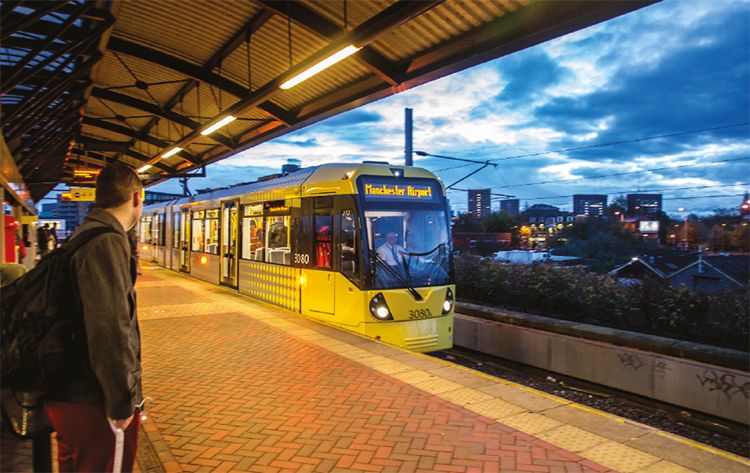 “Since One North the region has been developing a programme of transformational interventions, a multimodal strategy, which is not just about moving people, it is also about moving goods and freight,” explains Dave Newton, transport strategy director at TfGM. This work is being carried out by a new organisation called Transport for the North consisting of council leaders from the six northern city regions: Liverpool, Greater Manchester, Leeds, Sheffield, the North East and Hull and the Humber, along with representatives from the Department for Transport, the Highways Agency, Network Rail and High Speed 2. The One North document published in July 2014 called for £15bn in transport investment over the next 15-20 years and highlighted the potential for high speed rail links from east to west across the North, which was then promptly labelled HS3. 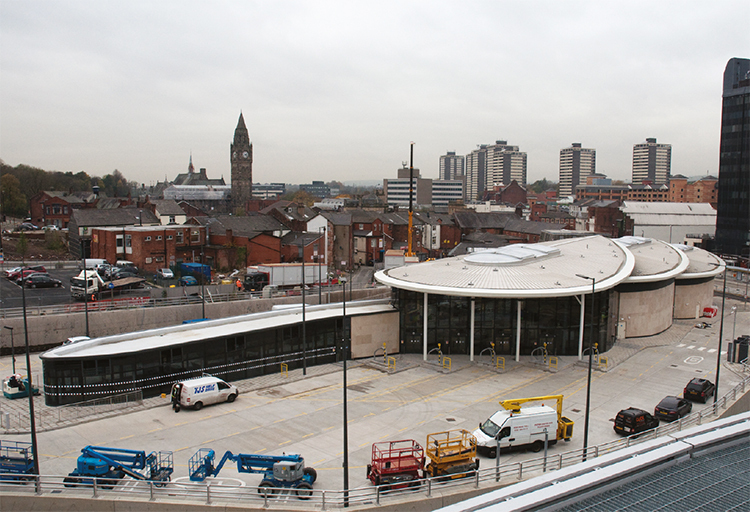 “The One North investment was mainly on big strategic interventions around the rail and highway network and about how do we provide better connectivity to ports and airports in the north of England,” Dave Newton TfGM. “The One North investment was mainly on big strategic interventions around the rail and highway network and about how do we provide better connectivity to ports and airports in the north of England,” says Newton. Potentially one of the largest schemes that could flow from this is a new rail tunnel across the Pennines between Leeds and Manchester. Tunnelling is also being considered by the Highways Agency for a new cross Pennine road link which could slash current journey times between Sheffield and Manchester by 30 minutes. Newton also points to the need to improve road links to Liverpool with a need to “unblock” the congested M62 to M60 link North West of Manchester. With major projects on the horizon all eyes then are on Transport for the North as it works on the interim report. “A report like this jointly owned by city leaders with shared intent to make it happen is unique. The very act of getting this in place is an achievement,” says Lamonte. Of course the priorities and projects laid out by One North are about long term planning and build on work already underway in the region such as the £1bn Northern Hub rail scheme. “This is a series of interventions across the North that really builds on the problem that we have of the interaction between Manchester Victoria and Manchester Piccadilly,” says Lamonte explaining that the lack of connectivity between the two major stations which sit at opposite sides of the city and constrain north-south and east-west movement. One of the biggest elements of this is the £560M Ordsall Chord scheme which will see a new viaduct connecting the stations hugely improving capacity at the stations themselves. “Building on that is the north west electrification programme which is already well developed between Liverpool and Manchester and should complete within a month or so, giving better, faster services. Then we start on the north and some of the bits up towards Preston and then to the east of Manchester towards Leeds. That £300M programme is critical to moving from a diesel to an electric railway,” he says. Unlike many conurbations Manchester benefits from an extensive light rail system – Metrolink – which has recently been significantly expanded under a £1.5bn investment programme. “We have completed phase 3 of the expansion which essentially trebled the size of the network, we have 92 stops now. We raised over £1bn of local contribution into a £1.5bn transport fund which was quite unique to Manchester and the first of its kind. In the two years that I have been here the tram has gone from 22 million passengers per year to 30 million and it is growing all the time,” says Lamonte. TfGM is investigating a range of options to improve connectivity. “We have already looked at getting out to the south east to Stockport and Marple not by tram but by tram-train, where we can start mixing trams with heavy rail,” says Lamonte. This means trams using the heavy rail lines to cover longer distances and then switching to the tram tracks once they reach the inner city, a method that is famously used in the German city of Karlsruhe. In the early 1990s the German city saw passenger numbers rise 400% when it introduced dual mode vehicles onto its heavy rail lines. From the perspective of local conurbations TfGM’s interchange programme is perhaps one of the most transformational projects underway. “Rochdale was the first and it has completely changed the dynamic of the town,” says Lamonte explaining that the new £11.5m interchange which opened in 2013, not only connects bus, tram and road services but also harnesses renewable energy through a hydroelectric turbine harnessing hydropower from the River Roch. “Suddenly you have something sustainable that changes the nature of the town and builds on the sense of place and that is really what we are trying to do,” says Lamonte.